Best time is from spring to early fall. 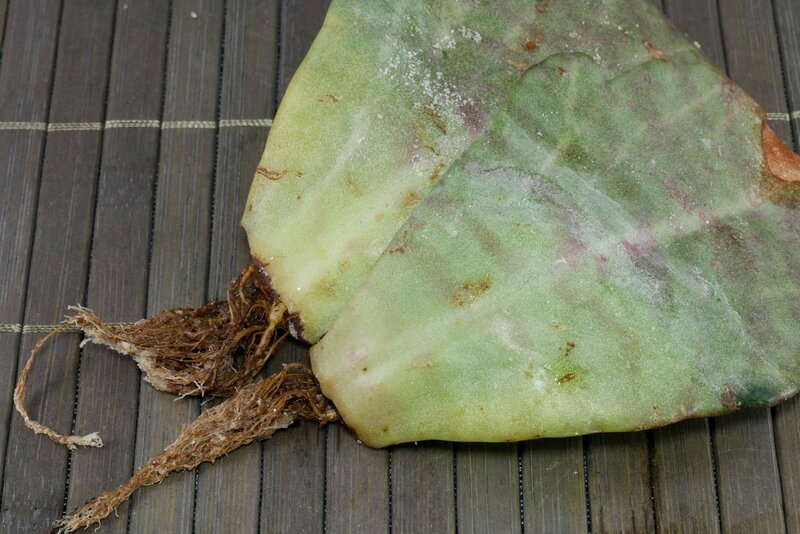 But if placed part sunny and warm the Tiger Kalanchoe cuttings will also root in winter. Bright to part sunny with morning, evening and winter sun. 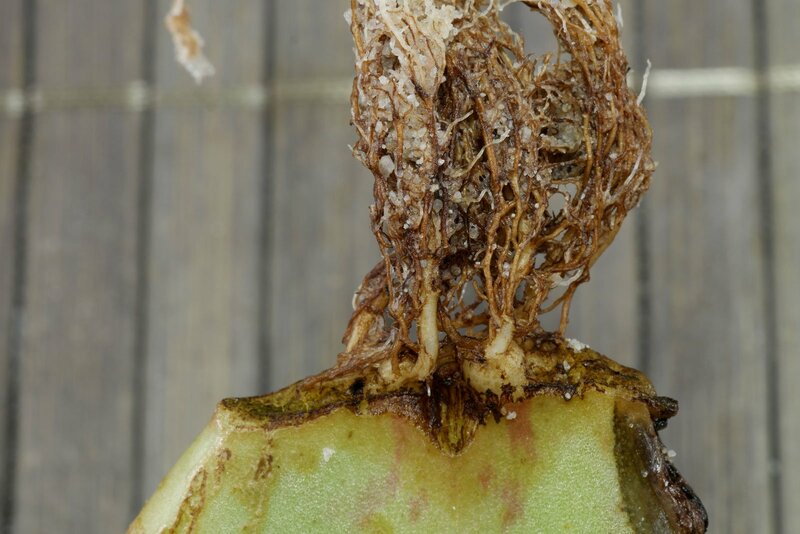 As soon as the roots look like in the picture above, also hot summer sun will be tolerated. 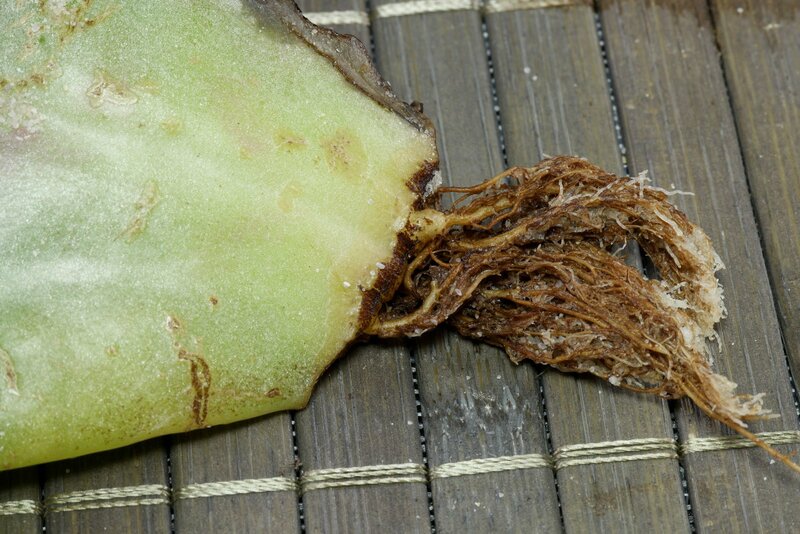 Mixes for cacti and succulents or mixes for indoor plants, herbs, vegetables. Bird sand can also be used. 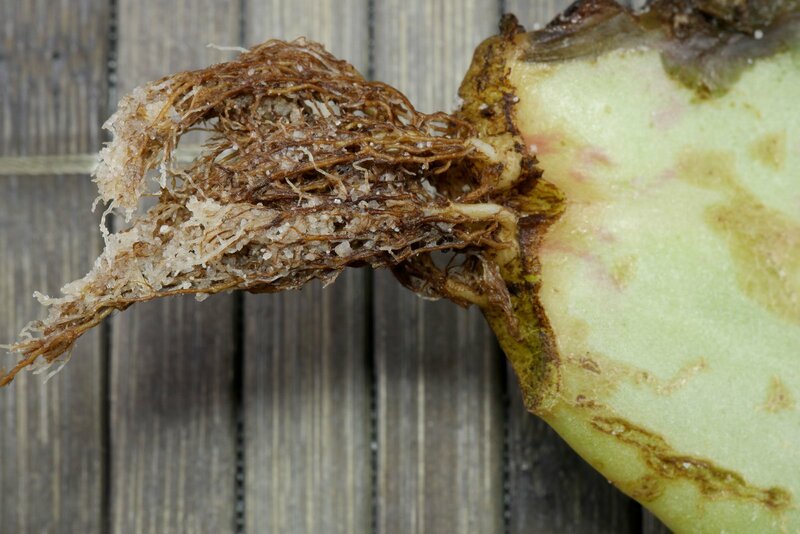 At 18 to 22 °C (64 to 72 °F) the first roots appear after 8 to 10 weeks. 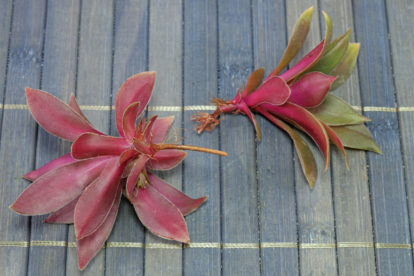 The images are showing a cultivar named “Desert Surprise”.